Friction: friend or foe? The answer all depends on your particular situation. When driving your car aggressively over wet or icy roads, friction, as well as a good set of tires, is your friend and will save you from some stressful moments. 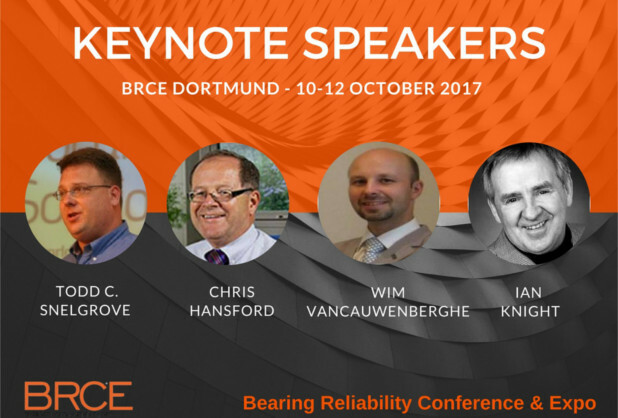 If you’re in the reliability game and are tasked with extending the life of your bearings, then friction is the enemy. While zero friction is neither practical nor even possible, you search for the best ways to minimize these forces between the elements of your bearings. For rotating machines, it is necessary to reduce friction most of the time to increase efficiency, decrease power losses and support loads. The element of choice is the wellknown team of bearing and lubricant. 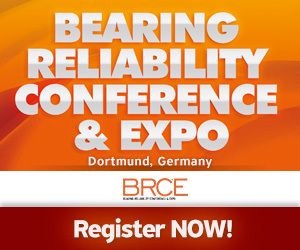 Bearings, in their different configurations, are one of the most efficient ways to reduce friction between a stationary and a rotational part of a mechanism. Rolling contact bearings consist of several elements (e.g., cage, inner and outer race, and roller elements among the important ones). This category of bearings relies on rolling instead of sliding to decrease friction. Plain bearings have a more simple design. In their most basic form, plain bearings consist of two surfaces, one stationary and one rotating. 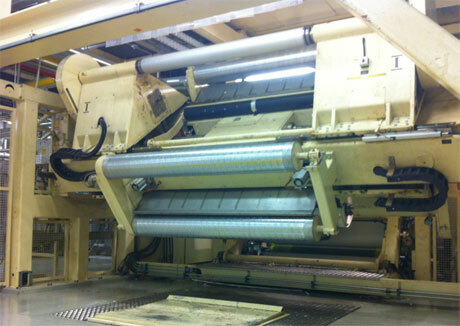 The rotating part slides over a lubricant film to reduce friction. As long as the lubricant film is maintained, there is separation between the stationary and moving part, thereby keeping the friction low. A very high load carrying capability. 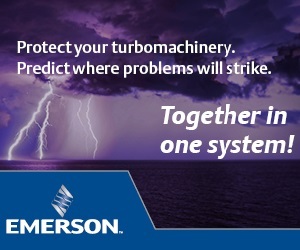 A better capacity than rolling contact bearings to withstand shocks and vibration. The lubricant film dampens vibration and noise, making plain bearings quieter than rolling contact bearings. Less sensitive than rolling contact bearings to contaminants in the lubricant. Journal (sleeve bearings) – They are cylindrical and the inner surface can be lined with Babbitt metal, bronze, or other material softer than the rotating journal. Segment Journal – Similar to journal bearings, with the difference being the stationary bearing consists of segments or bearing shoes. Thrust – These bearings are used to support axial loading. 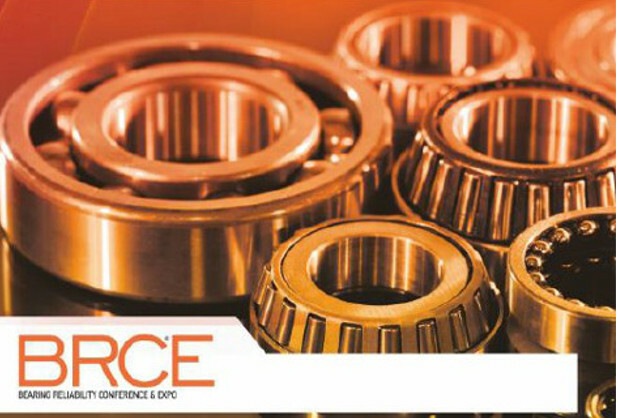 Self-Lubricated – These are journal bearings with a solid lubricant deposited over the internal bearing surface. The lubricant is activated by friction. Plain bearings rely on a fluid film lubrication to keep the stationary and rotational parts separated with very low friction between them. When an external high pressure lubricant supply is used, the journal is lifted and the lubricant film keeps the surfaces separated. This is known as hydrostatic lubrication and special care is needed to maintain a steady lubricant flow. This type of lubrication is used mainly for big machines, such as turbines, where heavy journals need to be floating in oil at start-up to avoid rubbing and wear. For medium and small size plain bearings, the film is achieved by a rotating action of the shaft, which forces an oil wedge between the shaft and the bearing, thus developing hydrostatic pressure that lifts the shaft. This type of lubrication is known as hydrodynamic and the oil wedge is maintained as long as the shaft rotates. Oil or grease is suitable for lubricating plain bearings. But using one or the other depends on the shaft speed, load and temperature. In general, it is better to use grease for low speed and oil for high speed. Plain bearings have some advantages over rolling contact bearings, but also some disadvantages. One of them is a sudden loss of fluid film will cause an almost instantaneous metal-to-metal contact with serious consequences, like wear and temperature increase. 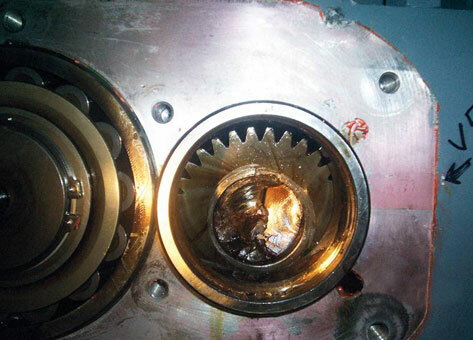 Loss of lubricant isn’t the only error that can cause problems. Contaminants in the lubricant, incorrect assembly, poor workmanship, corrosion, oil whip and oil whirl between the elements all can damage the bearing. Problems related to the absorption of hard contaminants range from a light wear of the inner liner surface to scoring of the journal. Good housekeeping practices and filters in the breathers help to avoid contamination. Mistakes in the assembly cause excessive fretting damage and flexing in the outer diameter (OD) of the shell and housing. Other problems related to the assembly are excessive interference and misalignment. Corrosion is caused by a chemical attack to the inner liner from chemical components in the oil. These originate from certain additives or oil degradation itself. Oil whirl and whip happens when the oil can’t form a stable oil wedge. 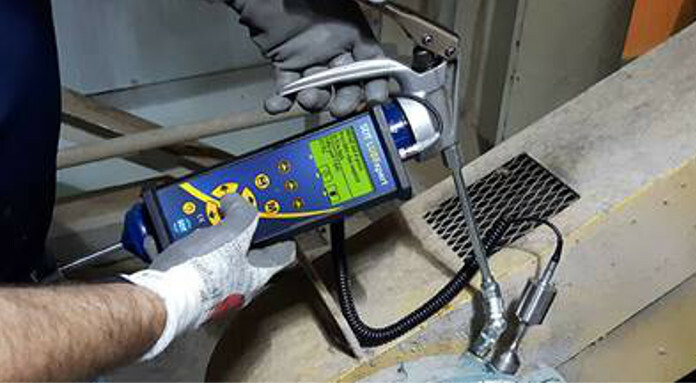 In recent years, improvements to instrumentation and software have challenged the concept of ultrasound applications as ONLY a simple inspection tool for leak detection. 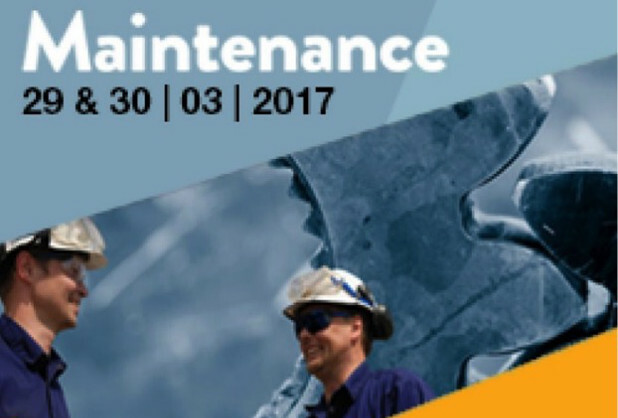 Many successful reliability teams have adopted ultrasound as an important tool for condition monitoring and predictive maintenance. Monitoring rolling contact bearings and acoustic assisted lubrication are performed daily using ultrasound. This has freed up valuable time for vibration analysts to focus on assessing critical assets first identified by ultrasound as being in a problematic state. Plain bearings are widely used in turbo machinery and many other types of machines in the plant. Different to rolling contact bearings that enter a starved lubrication condition slowly and, therefore, are easier to trend, plain bearing lubrication requires a steady fluid film to work. Any situation that alters this oil flow leads to almost instantaneous contact-to-contact metal. Therefore, the window to failure for plain bearings is much smaller than it is for rolling contact bearings. The data gleaned from monitoring plain bearings with ultrasound has some differences compared to rolling contact bearings. These differences are shown in Table 1. There are three primary failure modes that are identifiable by trending static ultrasound data and analyzing dynamic ultrasound data. In order to easily visualize the different positions of the journal inside the bearing, imagine the bearing as a clock with a clockwise rotation (see Figure 2). With a well lubricated, normal plain bearing, as the journal rotates, the pressure effect of the oil wedge moves the journal towards 7 o’clock. The highest static ultrasound data should be expected at this point. Inspectors have to think in two dimensions now. 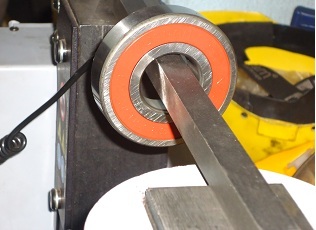 Following a line at the 7 o’clock point position, several static readings are taken across the face of the bearing. All should be similar. An ultrasonic data collector with very good sensitivity is required because friction levels are low. The acoustic impedance of the shell and inner liner affect the acoustic energy reaching the contact sensor. The ultrasonic crest factor (CF) should be low. Crest factor is a numerical value that describes the ratio between the root mean square (RMS) value and peak decibel micro volt (dBuV). This is a condition indicator that provides insight for inspectors. 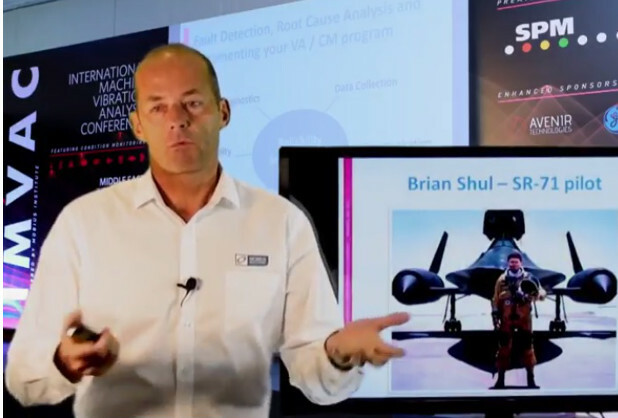 CF allows them to differentiate between friction and impacting as the cause for high static values. Readings taken at 12 o’clock and 3 o’clock positions should be lower than seven. The time wave trace should be uniform without many spikes of energy. A steady supply of lubricant keeps friction levels low. Soft contaminants are embedded in the soft metal liner, but hard contaminants scratch the journal surfaces and are revealed by random, high static peaks (RMS peaks) and increasing crest factor values. The time waveform shows random peaks if the contaminants are floating. If the hard contaminants remain in the same position, the time trace will show sinusoidal peaks. The presence of contaminants will be predominantly seen at 6 o’clock and 7 o’clock positions because clearance between the shell liner and the journal are smallest there. A low supply of oil causes problems in lifting the journal and consequently, metal-to-metal contact is possible. Static signals at the 5 o’clock, 6 o’clock and 7 o’clock positions increase against the normal values and readings at the 9 o’clock, 12 o’clock and 3 o’clock positions likely remain the same or decrease a little bit. Temperature also increases, so it is necessary for the ultrasonic data collector to capture a non-contact temperature value in the trend. The time waveform shows a general increase. The CF should remain low without the presence of impulses. 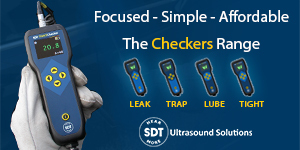 In mid- and large-size plain bearings, when comparing static ultrasound readings across several points, it is possible to uncover a misalignment situation. To illustrate this, Figure 5 shows an analysis of a hypothetical bearing that has nine measurement points over the journal’s projected area. Points 1, 4 and 7 are located axially on the left side of the bearing, at the 9 o’clock position. Points 2, 5 and 8 are at the 12 o’clock position, while points 3, 6 and 9 are at the 3 o’clock position. Under normal operation, the maximum load (friction) should be at the 7 o’clock position (points 1, 4 and 7) and lower friction at the 12 o’clock position (points 2, 5 and 8). If the journal is aligned, these values should remain stable over time. For points 1, 4 and 7, the readings should be similar (highest in the bearing) and points 3, 6 and 9 also should have similar readings between them, but be a little higher than points 2, 5 and 8. If points 1 and 9 increase and 7 and 3 decrease, or 7 and 3 increase and 1 and 9 decrease, it is a clear indication of an uneven journal rotation. By capturing dynamic signals with sample time sets that are long enough to reflect three to five shaft rotations, you will see a clear variation in signal along the time axis. Testing plain bearings has proven challenging using traditional condition monitoring techniques. Oil analysis remains an important technology here. Advancements in ultrasound technology made by manufacturers are providing additional tools for assessing conditions in plain bearings. Follow the techniques here and use both static and dynamic data to observe changes. 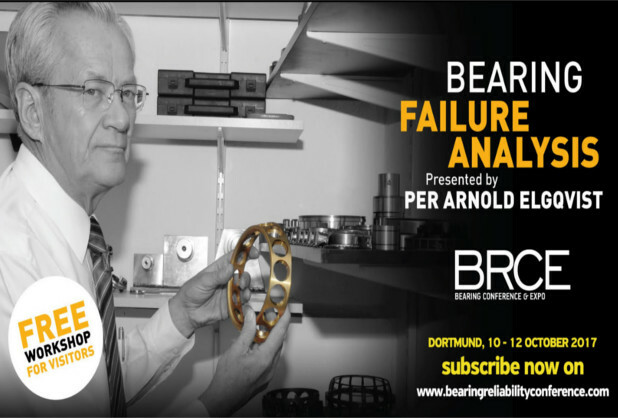 Always remember that the window to failure is a little bit smaller with plain bearings than it is with roller bearings and plan your uptime with the precision of ultrasound.